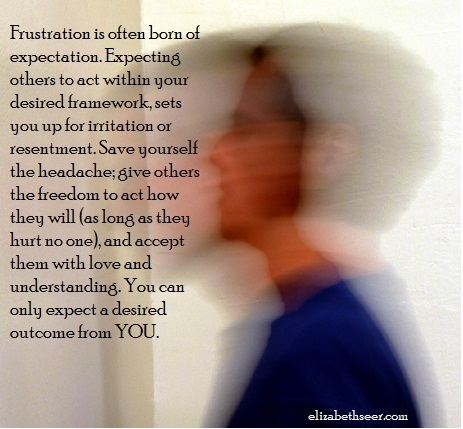 I know many people who become frustrated with others, when in fact, that irritation could be avoided if they stopped expecting others to act in a certain way. It’s OK to be frustrated with oneself. It’s OK to get irritated if you overspent, overate, or simply didn’t act in a manner you hope to project to the world. On the other hand, becoming upset with another for simply being who they are (as long as they hurt no one in the process) is an exercise in frustration and futility. Managing your expectations of others can save you countless headaches. allow others to be, expect from you, Expectations, expecting others, freedom, frustration and expectation, self-expression. Bookmark. Commitment to Others or the Ego?